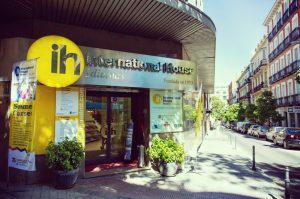 The IH Madrid Spanish language school is situated in an excellent location right in the center of Madrid, near the Plaza de Colon, in a vibrant, elegant area. IH Madrid occupies a modern three-story building, equipped with the latest facilities, which have been specially designed with the student in mind. 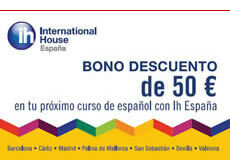 IH Madrid is internationally renowned for its language teaching and teacher training. In addition to Spanish, we also offer courses in other languages, so there are plenty of opportunities to practice your Spanish with native speakers. A second center with 14 more classrooms, just a five minute walk away. It’s the Capital – Madrid is both the largest city and the capital of Spain. For someone who wants a big city with a lot going on, it’s the most obvious choice. For being a European capital, however, Madrid is far from as expensive as for example London or Paris are, so you don’t have to break the bank to stay here. The Food – From small little tapas bars to fancy restaurants, you’ll have everything you could ask for. In Madrid, you can find both local specialties as well as food from other areas in Spain. The Museums – One of the finest collections of paintings in the world can be found in a small area known as “The Art Triangle”, formed by the Prado Museum, the Thyssen-Bornemisza Collection, and the Reina Sofía Museum. The History – Not surprisingly, the capital of Spain has a lot of History. Here you can see majestic buildings, monuments, and statues wherever you go, it’s worthwhile reading up a bit on it to truly appreciate everything. The liveliness – There’s always something to do in Madrid, you don’t ever have to worry about being bored. There are plenty of venues for music and art, as well as a great nightlife. Furthermore, in the surrounding area, there are several UNESCO world heritage sites.